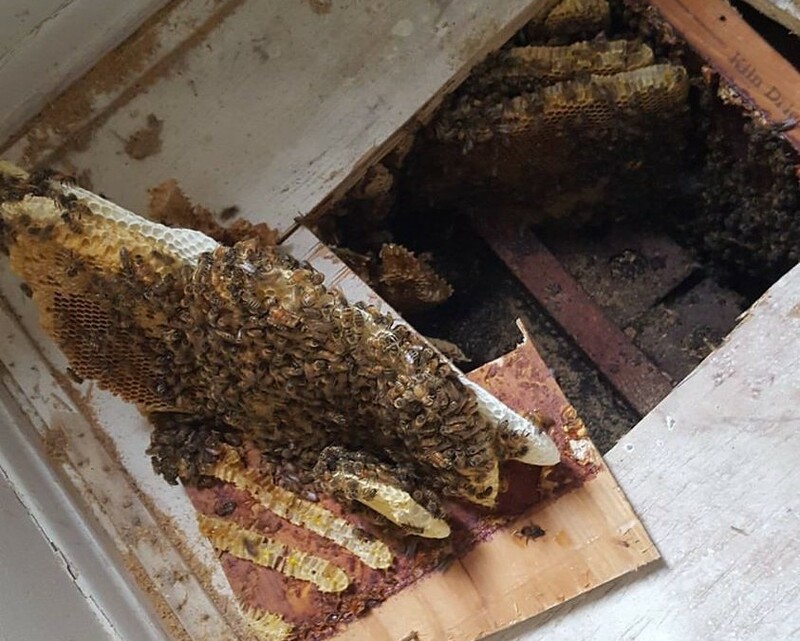 We are pleased to be able to remove bees from houses, buildings, and trees. We do so all summer long. And we have over 30 years experience doing so. Give us a call ~ you’ll Bee Happy you did!